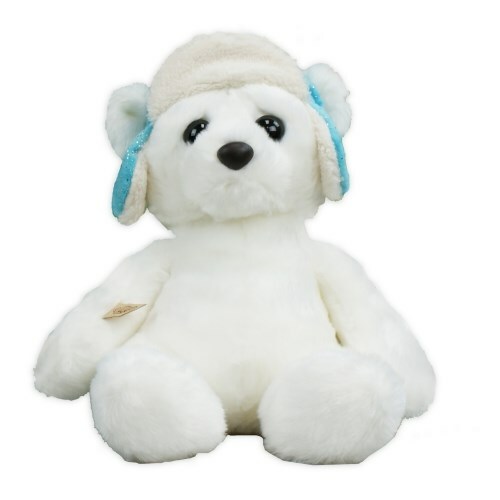 Perfect for any little boy, this plush teddy bear measures 12” tall and wears an adorable blue cap. It is a great gift for Christmas or any winter holiday. This teddy bear is made with two types of super soft lush for a great look and feel. It is bean-filled to give it just the right amount of flop. Fee Gift Wrapping and a Free Gift Card are included to create a thoughtful presentation.